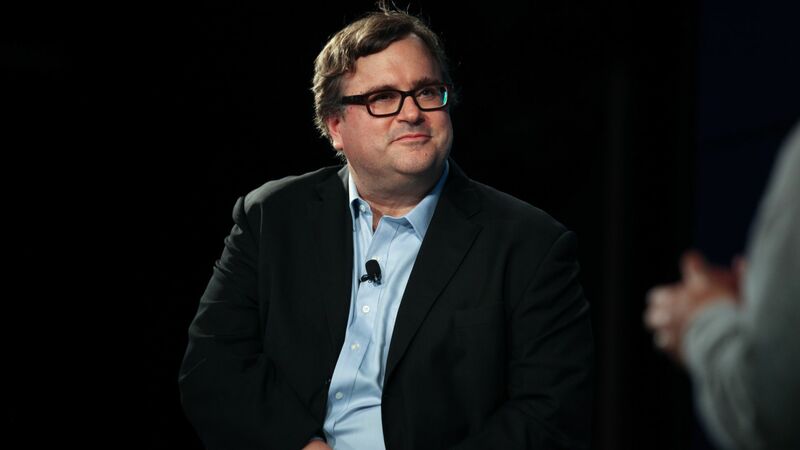 Billionaire venture capitalist and LinkedIn co-founder Reid Hoffman apologized on Wednesday for funding a group responsible for spreading disinformation during the Alabama Senate special election last year, according to the Washington Post. Between the lines: This is the first time Hoffman has acknowledged that he invested $750,000 in American Engagement Technologies, a group that used misleading Facebook pages and other disinformation tactics to target Republican Roy Moore and boost support for Democrat Doug Jones, who ultimately won the close race. Hoffman said in a statement that he was not aware his money was being used for these purposes and that he supports a federal investigation into the matter. Some Republicans are worried that today's Mississippi Senate runoff could end up like last year's Alabama special election, with a scandal-plagued Republican candidate losing to a Democrat in deep red, Republican territory. The big picture: Republican Sen. Cindy Hyde-Smith has been fighting late controversies of her own making — saying she'd attend a "public hanging," among other things — just as Alabama's Roy Moore was damaged by his own late controversies (allegations of being a sexual predator). But there are also some important reasons why Hyde-Smith, unlike Moore, might survive, including the fact that President Trump and the GOP haven't kept her at arm's length the way they did with Moore. Alabama's other senator, Richard Shelby, announced he wouldn't vote for Moore, which gave permission to some GOP voters to stay home on election day. That hasn't happened in Mississippi. The GOP largely abandoned Moore, but they're going all in for Hyde-Smith. Washington Republicans called on Moore to drop out of the race if the allegations were true, and the Republican National Committee pulled its money from the race until the very end, when they decided to spend for him in the final days. By contrast, two major GOP campaign groups are spending over $1 million each on ads for Hyde-Smith, per Politico. Trump tweet-endorsed Moore right before the election, but he didn't hold a single rally in Alabama for him. This time, Trump held two rallies for Hyde-Smith in Mississippi the day before the election, one in Tupelo and the other in Biloxi. Why it matters: The race isn't crucial to the balance of power in the Senate — it will only decide whether Republicans will have 52 or 53 seats. It would be a huge upset, however, if Democrat Mike Espy pulled out a victory, especially following Democrat Doug Jones' win in Alabama last year. "If you couple this with what happened in Alabama, it’s a big change in the Old South," said Mark Mellman, a Democratic pollster whose firm is conducting surveys for Espy's campaign. "You’d have the first African American from Mississippi in the Senate since the Civil War ... and especially given her comments, it really would be finally turning the page on those old wounds." The bottom line: Republicans still think they'll win this race. Democrats are optimistic that their base voters will turn out heavily for Espy, and they've focused on the state's African American voters, who could propel Espy to victory like they did for Jones in Alabama. But the odds are still heavily against any Democrat, given the makeup of the state's voters. As one national Democratic operative told Axios: "We run out of our voters before they run out of theirs."